Apt curry for chapati's !! looks very delicious !! 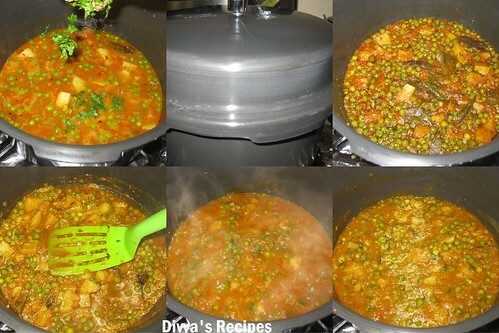 Classic combo of potatoes & Peas.. Curry looks delicious and Flavorful..
Nice clicks, looks so delicious..
A great combination and goes well with rotis and rice! 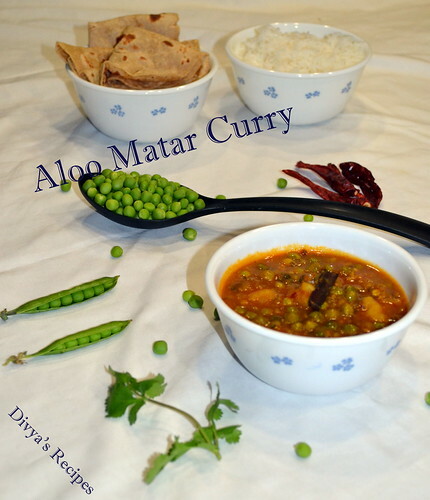 Absolutely mouthwatering aloo matar curry. Loved your step by step presentation, lovely. 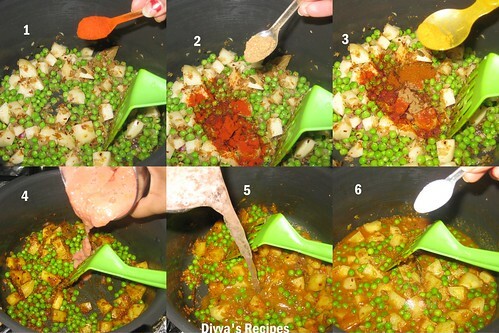 aloo mutter curry looks superbly delicicous!! Who will resist to this beautiful aloo matar,drooling here. 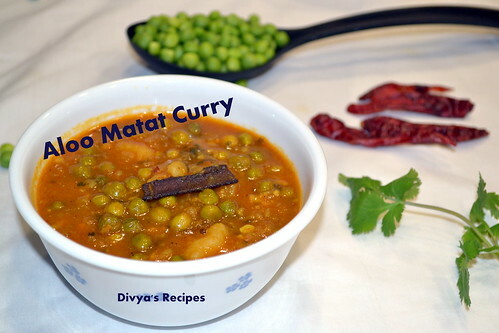 Aloo matar curry looks delicious. 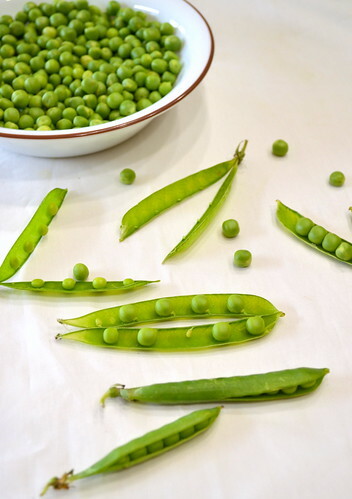 We make something similar with the peas but not with the same spices! Looks very delicious! Divs, do participate in my event !! My favourite bhaji for a quick afternoon meal! Yummy curry ..clicks are so good ! So tempting and yummy curry..love to have with rotis. Your pictures are superb.. 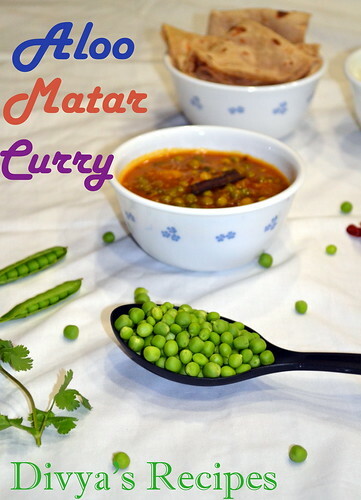 I like this curry and want to taste it with butter naann. 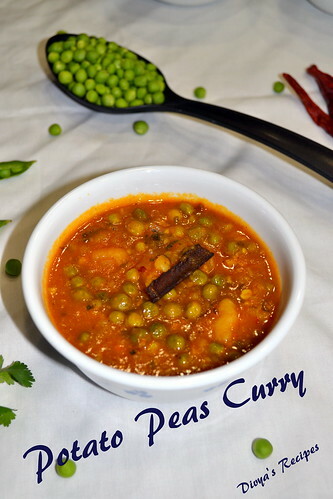 super tempting curry,loved ur clicks!! Love this combination, curry looks delicious! 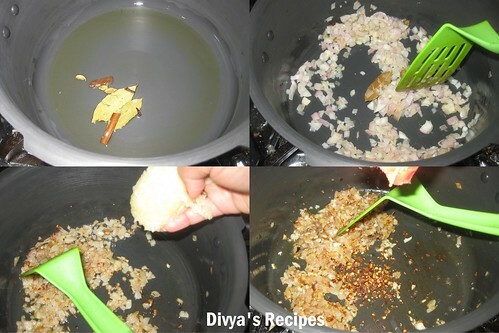 Im waiting for the pressure cooker to cool down..nice snaps n well explained..
nice blog! 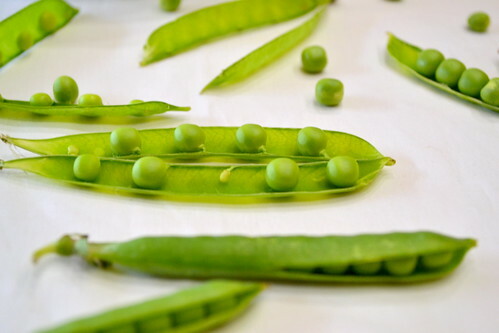 i am very happy for use this blog, looks very delicious.